New to Goosehill this year, are Live TV special broadcast reports, with the help of Library Media Specialist, Ms. Marissa Uso. Here, Goosehill students filmed a newscast informing viewers about Chinese New Year, and about how to be a HERO (H=Honest, E=Empathic, R=Respectful, O=Openhearted). Reporters go “out in the field” to the Goosehill playground and interview fellow students. Each classroom then watches on Live TV by guest newscasters in the newsroom. 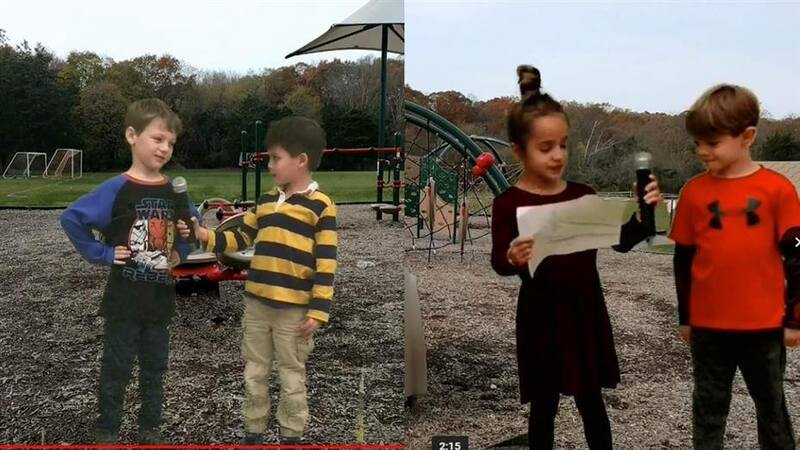 Great job from our youngest future news reporters!